Iron Poker: alternative IPoker room with up to 60% rakeback deal! Iron Poker is one of the newest skins of iPoker Network launched in mid-2015. In fact, the room is a clone of Titan Poker. When creating Iron Poker the goal was to give players the opportunity to open a new account in their usual Titan but with a more advanced and beneficial rakeback system, i.o. to give an alternative to those who have already had an account at Titan (usually without additional bonuses for playing) and wanted to receive these bonuses. iPoker is the second largest poker network which has had reputation of an advantageous and reliable platform for a long time. In mid-2015, the owners announced merging of pools that had previously been divided into 2 parts (IPoker1, IPoker2). As a result of these manipulations, traffic has increased significantly at all limits. At peak hours, in the evening by European time, traffic amounts to several tens of thousands of users. The account can be created in dollars, euros and British pounds. When entering the table or paying the tournament buy-in, the conversion is held automatically if the currency of play is different from the account currency. There is no fee. Obviously, the most popular cash games at Iron Poker are PL Omaha and NL Holdem. There are active tables in other disciplines as well, for example, Hold'em 6+ where game is played by a 36-card deck or occasionally at the tables of draw poker variations. Also there is a fast poker of 6-max format called Speed ​​Holdem. Perhaps, iPoker is the only serious alternative to Pokerstars in this field, and only at low limits. iPoker traditionally won't disappoint Spin&Go players. It was this network that first introduced a similar format of SNG-tournaments and named them Twister. There are limits from 1 to 20 USD. Iron Poker uses already proven Playtech's software. The gameplay is faster and smoother than in the earlier versions of the client. The software is being constantly improved in terms of design and functionality; it has a lot of personalization settings, supports a four-color deck, there is an ability of multi-tabling, a time-bank etc. In short, the room fully complies with modern software standards. Only periodic pop-ups and lack of the ability to play on mobile devices can be considered as disadvantages. The room supports PokerAce, Poker Tracker and Holdem Manager. One of the advantages of Iron Poker is the availability of the most popular payment systems: QiWi, Moneta.ru and WebMoney. Of course, bank cards, Skrill and Neteller are also available. Withdrawal takes 2-3 banking days. 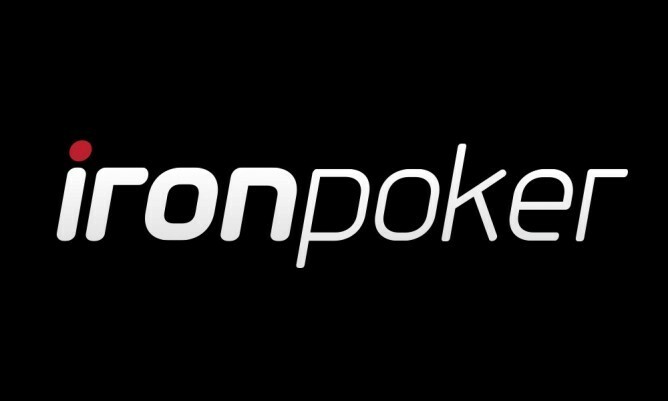 Iron Poker is a new but very promising room on the world stage of online poker. It combines all the best that IPoker has to offer: an excellent traffic level, a great variety of available disciplines, and all this on a great software with a high reliability. Worldpokerdeals, as always, has taken care so that our players could get one of the best possible rakeback deals.